Flooring, Jameson Joinery is a flooring manufacturer company for corporate or private clients in the UK Sussex including London, Guildford and all the other surrounding areas. Oak, Elm and Scots Pine flooring is available in widths up to 600 mm in a presanded finish. 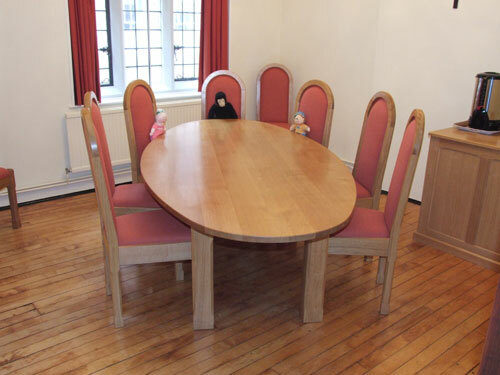 Board lengths of up to 7 metres are available in a variety of grades. 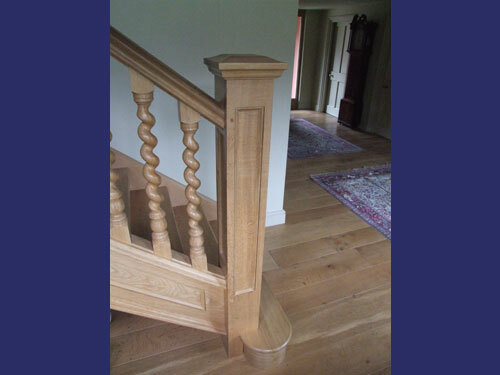 The edges can be either square, lapped or tongue and grooved whilst the undersides are usually stress relieved. 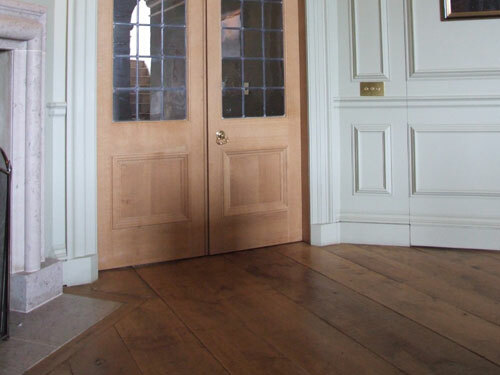 The face of this wide oak flooring is hand sanded only, allowing the natural variances found in old boards which were never machined to be reproduced. The undersides are planed flat to permit secure fixing to the joists to prevent rocking of the boards. The floor has a hand waxed finish. This is a random width french Oak floor with boards ranging from 7 to 11 inches in width. The edges of the boards have been eased, and the waxed boards are fixed using screws hidden by wooden pellets.